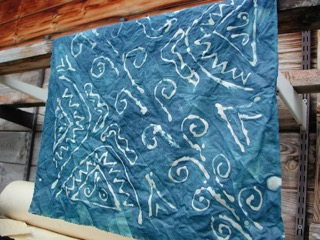 Students will dye cotton, silk, and wool with several kinds of indigo using a wax resist. We will harvest and dye with fresh indigo, as well as use lump indigo, instant indigo, and urine fermented indigo to attain this ancient and fast blue dye. Wear old clothes and bring a lunch.